Discover best vector wireframing tools help in designing wireframes for all the latest platforms including iOS, Android and Windows. Wireframing is an important process for UI design as it helps you document new design concept graphically, allowing you to communicate ideas, pinpoint potential problems, and enable greater upfront usability and functionality testing. Good wireframing tool will enable you to present accurate ideas, mock up fast and collaborate with others easily. Here we are introducing a great vector wireframing tool for iOS, Android and windows wireframing. In this tool, you will find different drawing templates for iPhone, iPad, Android and Windows wireframes, each coming with a corresponding UI kit containing hundreds of vector UI elements. 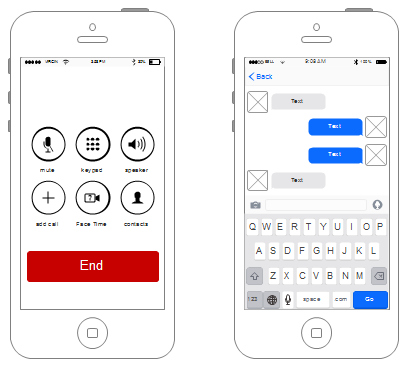 The iPhone wireframing tool includes a group of icon libraries respectively for iOS 6, iOS 7 and iOS 8 systems, available to prototype applications for iPhone 4s, iPhone 5, iPhone 5s, iPhone 6 and iPhone 6 plus. With over 500 vector icons prepared, you can get almost anything you want, which is extremely convenient. 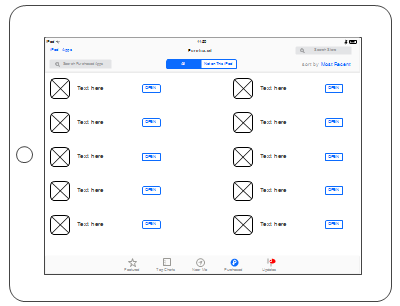 For iPad wireframing design, it includes various vector iPad UI icons together with the basic drawing shape library containing common shapes such as squares, lines, and circles, which you can need for custom icon design if neccessary. With the extraordinarily simple drag and drop drawing feature, you are able to focus on what really matters. Android wireframing tool gives designers a head start with pre-made user interface elements. It enables application developers to create wireframes by dragging and dropping existing shapes, no drawing skills required and no difficult commands to learn. With windows wireframing tool, you can document and build simple, high-fidelity wireframes that simulate a working application. 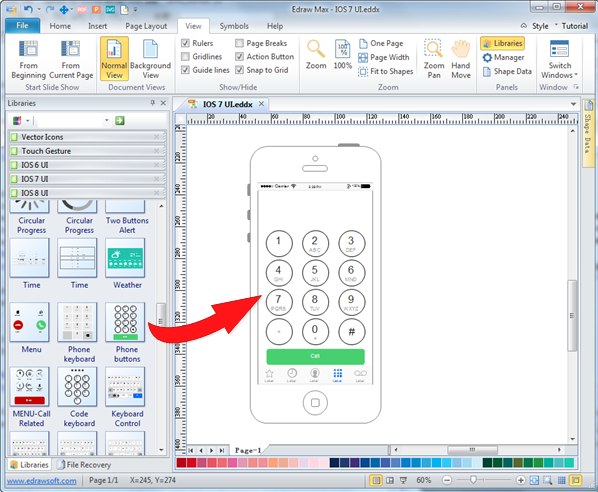 It helps to enhance your planning process by enabling to quickly design and share interactive windows UI mockups. User interface elements are premade and you can use them wisely in your design. Edraw allows for instant and quick design through the extremely intuitive and straightforward interface. On the left locates the premade icons, and on the right is the canvas where you draw. Edraw already includes more than 1000 standard icons for application wireframing. 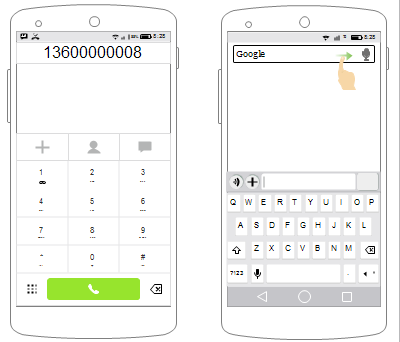 You can get customizable progress bar, text field, menu bar, on/off switch, voice message check box, slider, search box, text selection, dialogue box, weather, keyboard, time, and much more. 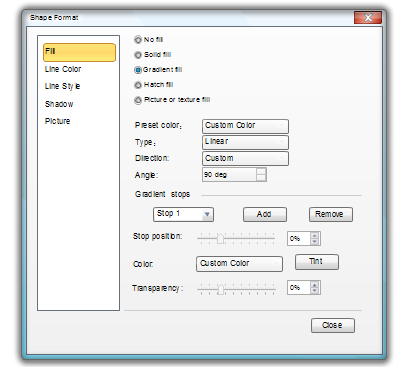 Since Edraw is a drawing software, you are able to draw any custom shape you need with the Pen tool. This is used when you require special symbols which could not be found in the pre-defined library.